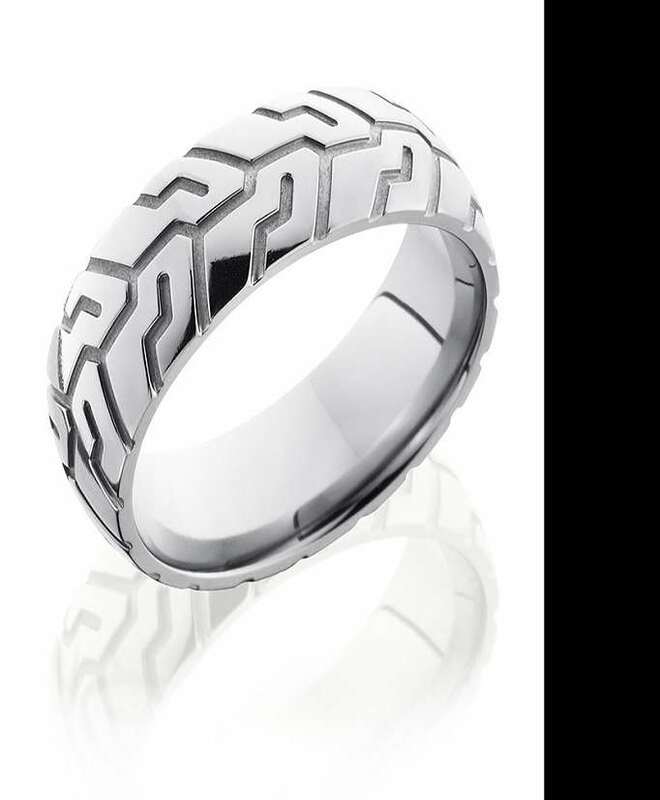 Camo Ever After Ring Giveaway Winner: Congratulations to Reuben R. of Harrisburg, PA, winner of the Camo Ever After ring. Thanks to all entrants, and be sure to check the Dude homepage or Dude Giveaways section for your chance to enter our latest prize drawing. This giveaway concluded on November 12, 2017. Wearing woven ivy and twigs might communicate your great love of the outdoors, but it will never last more than a day or two. And it will probably be itchy and full of ticks. Project your enthusiasm for hiking, camping, hunting, and fishing in a more lasting - and subtle - way with a piece of jewelry from this week's giveaway. 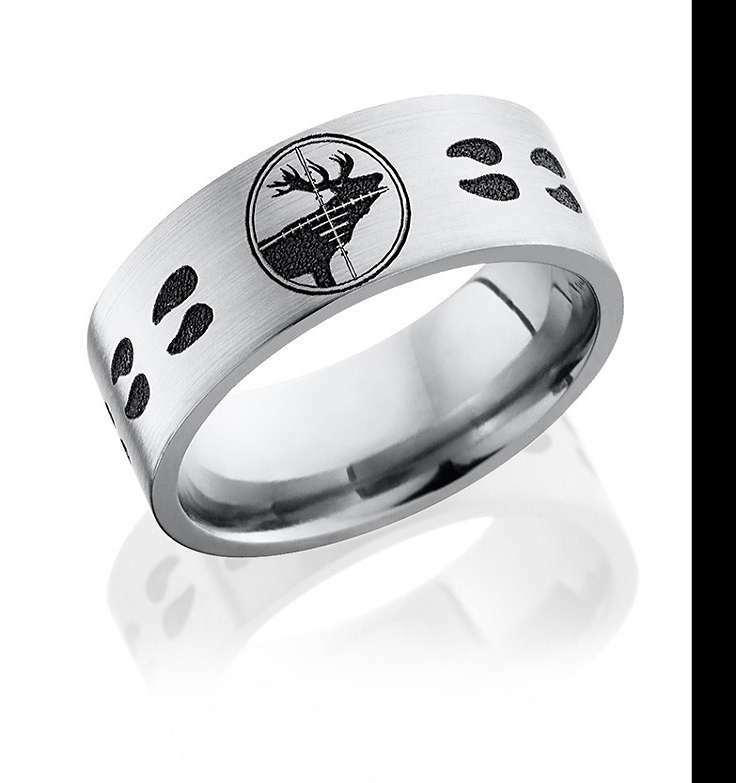 Click here and enter to win your choice of any nature- or outdoors-themed ring priced at $375 or less from Camo Ever After! Camo Ever After was born when a fisherman proposed to a fisherwoman, and they began a search for rings representative of their lifestyle. Not finding much, the couple decided to develop a line of wedding bands and fine rings that would typify the outdoors, and our our hobbies and pursuits within them. Camo Ever After rings are for hunters, fishermen, sportsmen, survivalists, and all-around outdoor pioneers. 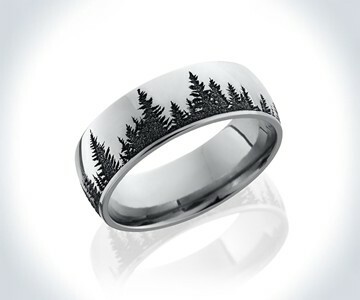 The company's bestselling ring, shown above, is this cobalt chrome band laser-carved with a forest pattern. The material was chosen for its sturdiness and resistance to scuffs and peeling during everyday wear. For both men and women, it comes in sizes 3 to 20. True to its name, Camo Ever After also carries a full collection of camouflage rings in materials including cobalt, titanium, and tungsten. 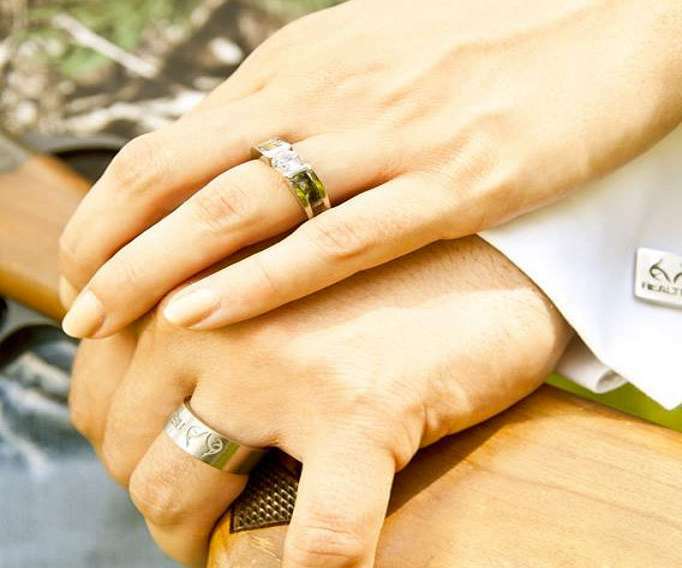 Choose from engagement rings and wedding bands, along with general fashion rings in realtree, mossy oak, traditional camo, and pink camo. Click here for more information, and to browse the full Camo Ever After store. To register, click here and fill out Camo Ever After Ring Giveaway entry form. Or, if you're already a member of DudeIWantThat.com, when the magic entry form button appears, just click it to enter. Giveaway prize includes winner's choice of any 1 x Camo Ever After Ring from the company's online store priced at $375 or less. 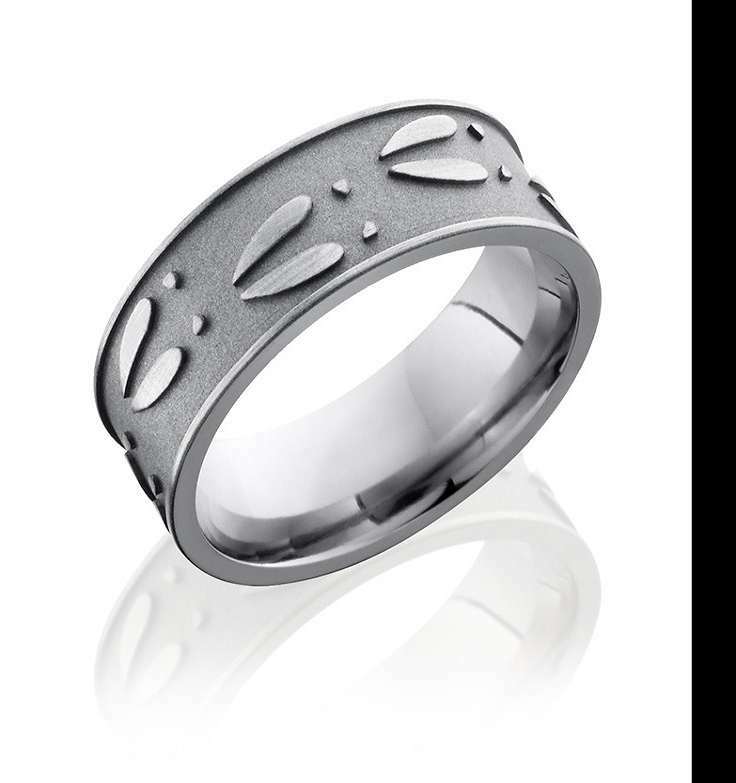 Camo Ever After rings for men and woman range in price from $69.99 to $678.50. Click here to browse the full Camo Ever After store.